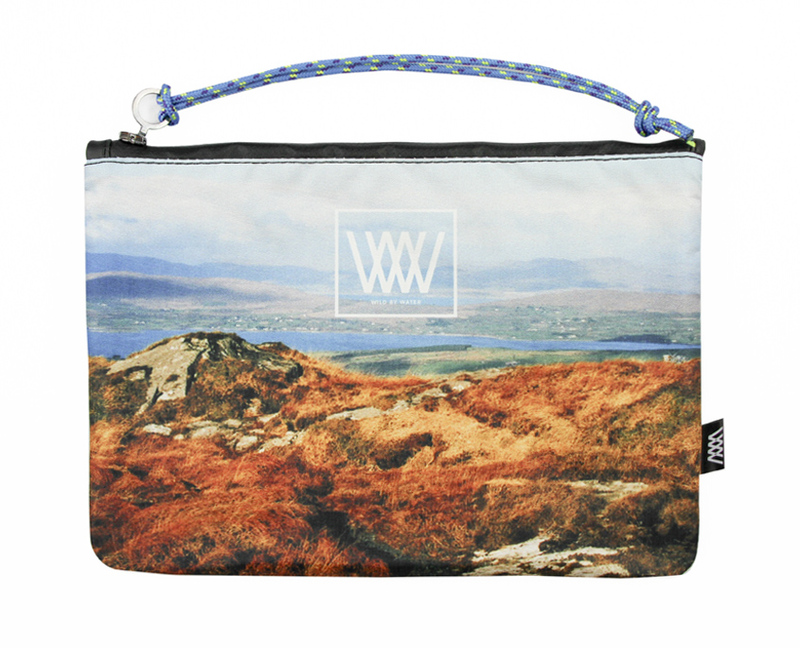 This WILD BY WATER Sporty Clutch is water tight and ideal for carrying –and keeping dry –your precious items whether you are waterside or out in wet weather. Lightweight, compact, strong and water tight, this beautiful sporty clutch will leave you “worry-free” to adventure on – whatever the weather! Each WILD BY WATER sporty clutch is made with an original photo from our own travels and adventures both on and off the water. Each image unique… this is not just a bag, but an experience, a memory that travels with you. These sea views sea cliff are from Mount Gabriel, Mizen, Co Cork, Ireland. 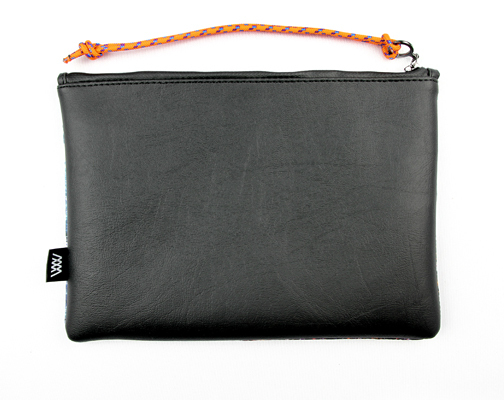 The Wild by Water Sporty Clutch will set you up for day-long adventures and exploring!